Classes at the Tree are going strong this fall. Some great buzz and turnout for our new Monday night teachers Prosper Adjetey and Dominic Donkor. 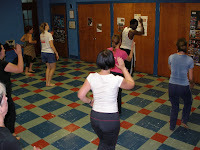 The first dance class was an amazing energetic workout -even the floor was sweating! Here they are with some students…..the rest of our classes all begin this week including the kids classes. Numbers are big, in fact some classes are sold out. 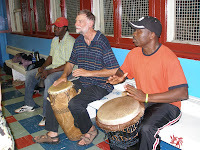 Its great to see people back in the groove, old and new friends of Baobab Tree.